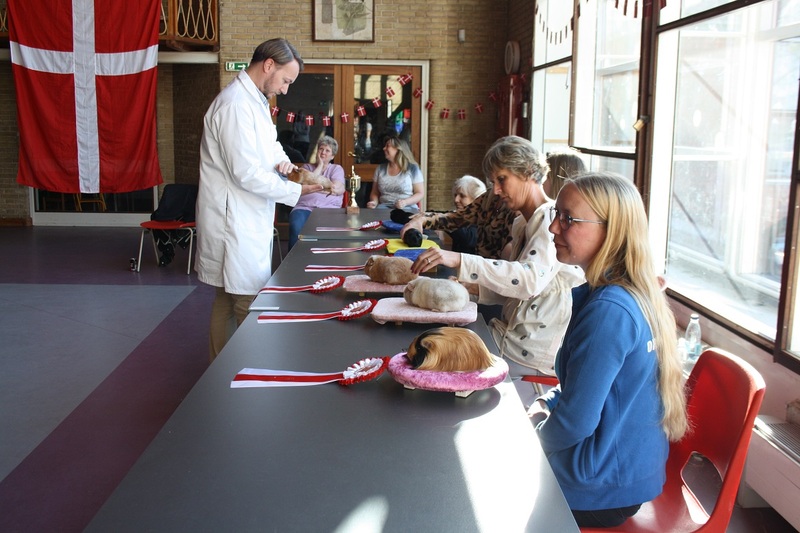 Last month, the Danish championships for guinea pigs were held in Copenhagen. 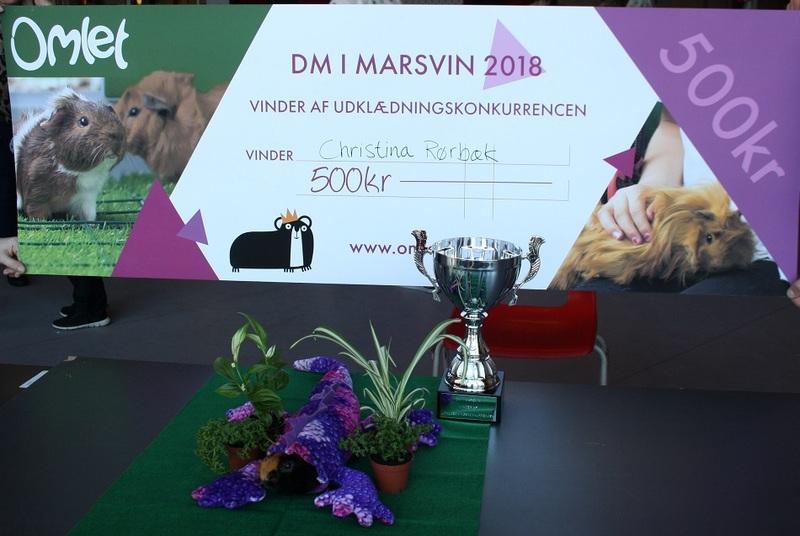 The championships were hosted by Dansk Marsvineklub (The Danish Guinea Pig Association). 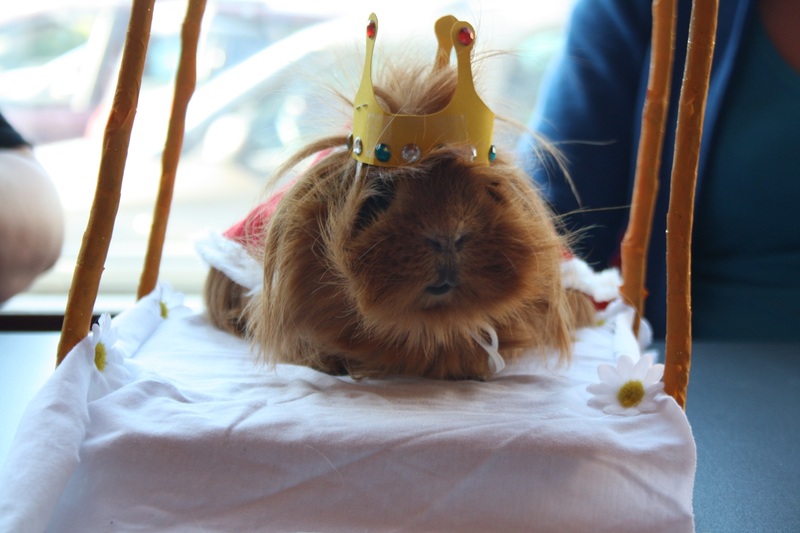 The association’s purpose is to spread knowledge about the animals, and how to best care for and feed them and shows are held throughout the country where members meet up and exhibit their animals. 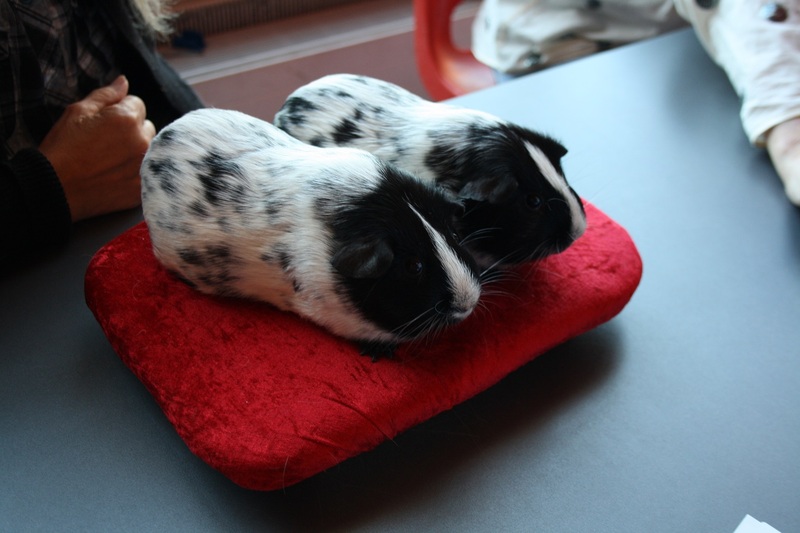 Pure bred: Judged by the standard for each breed, for example whether the hair is properly coloured, if the eyes and ears are large and are placed correctly etc. 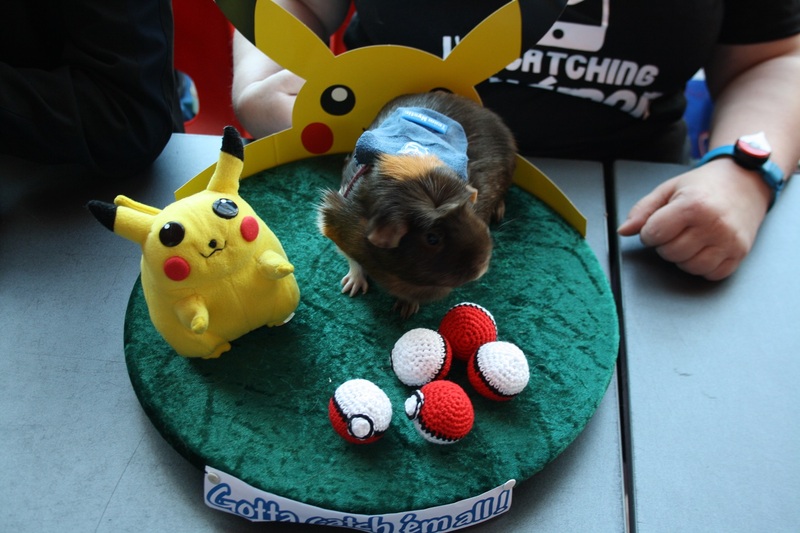 The winner of the dress up competition was 5 month old Bluebells Teddiursa who was dressed as a dinosaur! 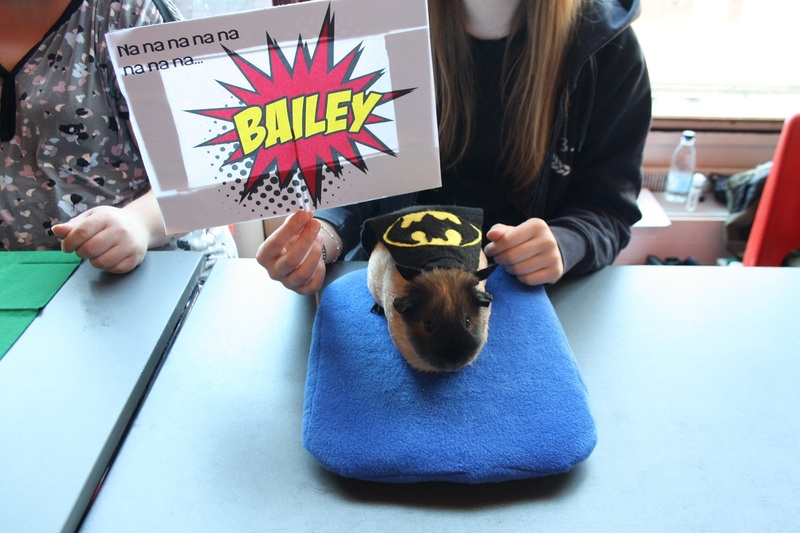 Here’s some of the other dress up entries! This family (mother and two sons) were number 1, 2 and 3 in the cucumber-eating competition this year. 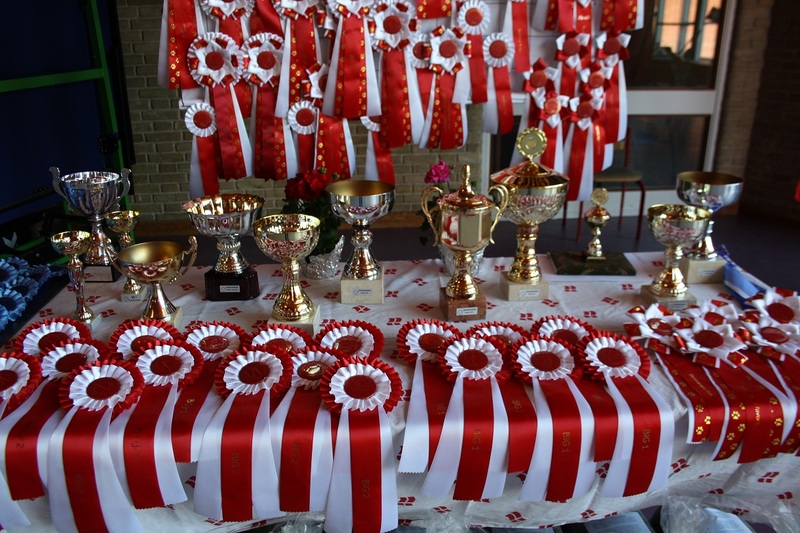 The boys are both 14 years old, so it’s the final year that they’re allowed to compete in the junior class. 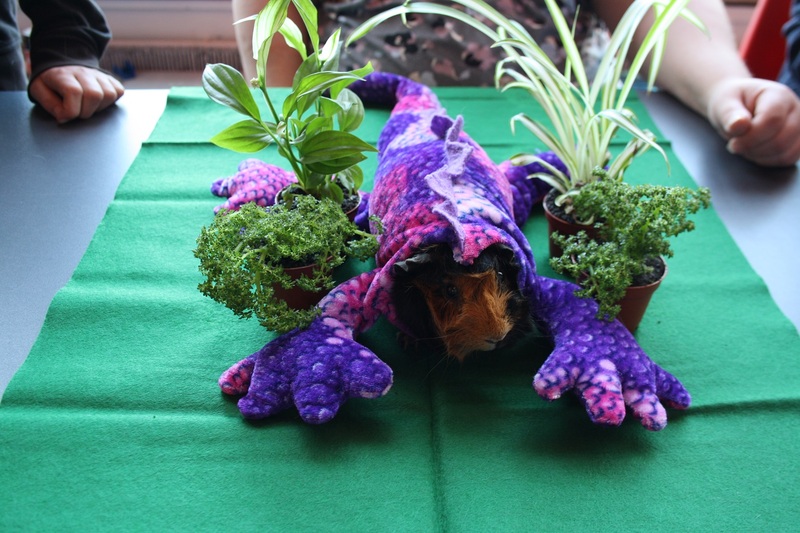 Next year they have to compete with the pets. How do they feel about this? 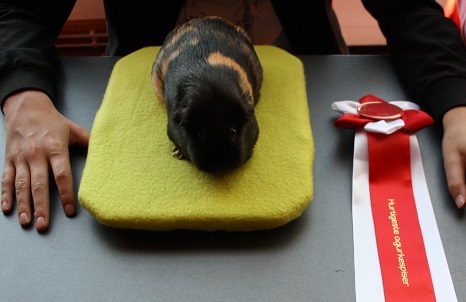 The family has only once returned home from a guinea pig show without the cucumber-eating rosette.